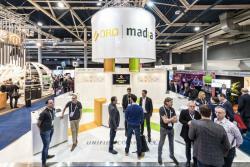 Together with our partners and friends from OroCommerce, OroCRM, and Madia, we showed our solutions that are built on the OroPlatform. We talked to many B2C and B2B merchants about their experiences and challenges in their eCommerce businesses. It was great to see so many interested in our open source products. After the second day of the trade show, we organized a partner meeting for our partners from Kiboko, Diglin, and DMK. It was great that they were all able to make it to The Netherlands! The Oro team also joined us for a Demo of the soon to be released Marello 2.0. We’d like to thank everyone that joined us on our booth, and also a big thank you to our partners and friends at Oro. Attending the Webwinkel Vakdagen was a great success!